So, whoa��s to blame? The Tories? Dave? 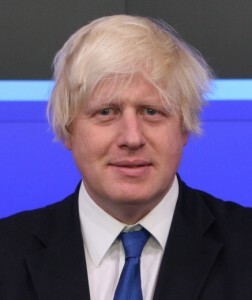 Boris? The banks? People spending too much time on social media? One argument highlighted by BrExit supporters is the lack of influence the UK has in Brussels. Quite possibly this may have something to do with the fact only 5% of the jobs in the European Parliament and Commission are taken by British workers – although the UK contains 12% of the EU’s population. The reason for this being poor foreign language skills among the British workforce, leaving the UK grossly under-represented in European Union institutions. So, what language should you be learning? Help yourself and the British economy by taking an evening language course with Cactus Language. Cactus runs courses in more than 15 languages across 15 UK city-centre locations. Receive a FREE one-hour one-to-one Skype Language Lesson and 5% off your course – when you book your Cactus evening language course. For bookings made 7th – 18th March 2016 only, using code FS16. Cactus Language offers evening language courses, private tuition, language holidays abroad, and TEFL courses in more than 200 locations worldwide. For more information call 01273 830 960 or contact us by email.